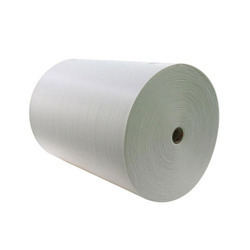 Our product range includes a wide range of laminated plain non woven fabric roll, plain laminated non woven fabric roll, non woven fabric roll, pp non woven fabric roll, white non woven fabric roll and polyester non woven fabric roll. We are offering Laminated Plain Non-Woven Fabric Roll to our client. We are offering Plain Laminated Non-Woven Fabric Roll to our client. These Non-Woven Fabric Roll are offered in various specifications to meet the diverse requirements of our clients. The offered PP non-woven material is widely used for manufacturing of non woven bags, various covers, sacks etc. Our offered rolls are also tested on various parameters so as to ensure their adherence to set industry standards and norms. 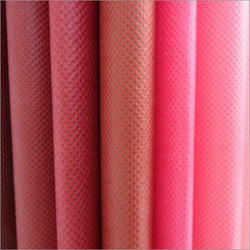 We have a well organized PP Non-Woven Fabric Roll manufacturer in Gujarat-India. With the help of our expert professionals, we have been able to offer superior quality nonwoven cloth. 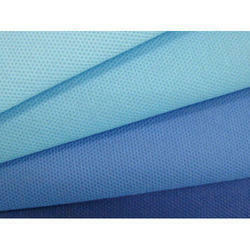 This PP non woven fabric is widely preferred as compared to plastic. 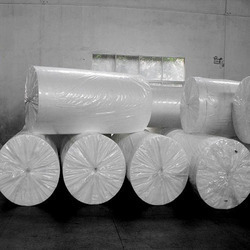 The PP nonwoven cloth is being used to make disposable non-woven bags and garments. We offer non woven fabric roll in different sizes and dimensions to meet the diverse requirements of our clients. With thickness between 20 GSM to 50 GSM width will be 63"(1600 mm) and winding the length of rolls will be 500 mtrs. With thickness 60 GSM (For D-cut bag making) width will be 33"/37"/43"/47"& 63" and winding will be 1200 mtrs except for 1.6 meter (63"). For 63" roll width winding will be 300 mtrs. For thickness from 70 GSM to 100 GSM width will be 63" and winding will be 250 meters per roll. For thickness above 100 GSM width will be 63"(1600 mm) and winding will be 200 meters per roll. Clients can avail this PP spun bond non woven fabric at industry leading prices from us. We are offering Polyester Non Woven Fabric Roll to our client. We are offering Non-Woven Plain Fabric Roll to our client.